Ryan Fitzpatrick’s 84.4 overall grade in 2018 is an outlier compared to the rest of his career, but it’s also a tell-tale sign that he still has enough magic to be a stop-gap starter in this league. There’s still room in this league for a quarterback like Fitzpatrick. He should have plenty of suitors asking him to back up their starter in 2018. 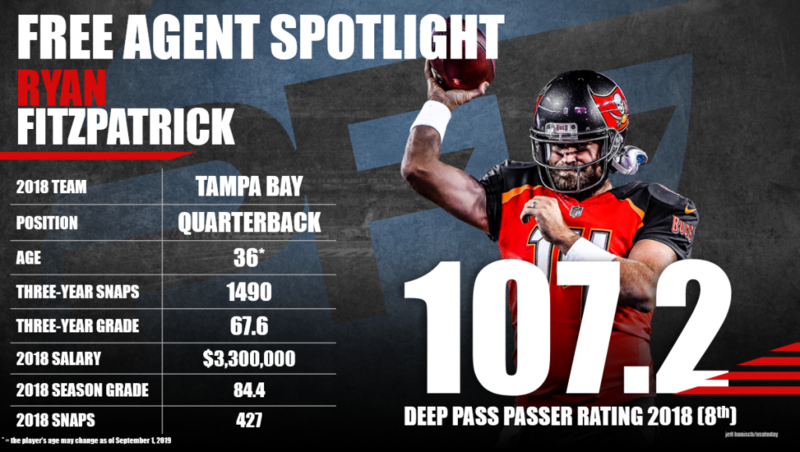 Subscribe to Pro Football Focus’ ELITE subscription to research Ryan Fitzpatrick’s grades, advanced stats, snaps and more in Premium Stats 2.0.